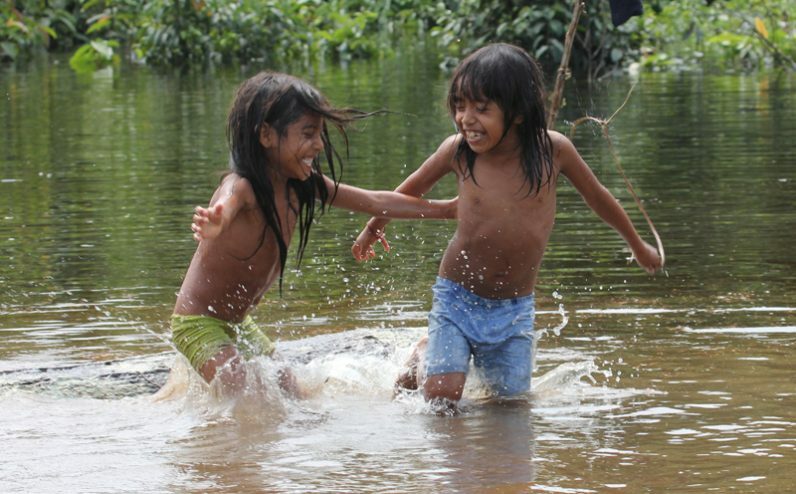 ROME (CNS) — Pope Francis’ decision to convene a Synod of Bishops dedicated to the Amazon is a sign of his desire for the choice to be a voice for the voiceless living in the region, a Brazilian archbishop said. The Amazon region remains unknown to many, including Latin Americans, “because it is a region where there are many poor people” with no “great communication centers” to inform the world of their plight, Archbishop Sebastiao Ramos Krieger of Sao Salvador da Bahia told Catholic News Service Dec. 13. “Someone must speak in their name, because a poor person is unable defend himself. The pope wants the church to be the voice of the poor and help the Amazon find real solutions to its problems and challenges,” Archbishop Krieger said. Pope Francis announced Oct. 15 that a special gathering of the Synod of Bishops on the Amazon region will take place in Rome in October 2019. The synod will seek to identify new paths of evangelization, especially for indigenous people who are “often forgotten and left without the prospect of a peaceful future, including because of the crisis of the Amazon forest,” which plays a vital role in the environmental health of the entire planet, the pope said. Archbishop Krieger was one of several Latin American bishops attending a Dec. 12 conference in Rome commemorating the 25th anniversary of the founding of the Populorum Progressio Foundation. In a Dec. 13 message, Pope Francis praised the “generosity of many Catholics and people of goodwill” who contributed to the nearly 4,400 projects the foundation maintains to help those in need in Latin America and the Caribbean. The current economic and social crisis in the continent, however, “has affected the population, increasing poverty, unemployment and social inequality while, at the same time, contributing to the exploitation and abuse of our common home at a level that we would have never imagined before,” the pope said. “Despite the limited resources available, the foundation embodies, through its projects, the preferential option for the poorest, highlighting their dignity through the witness of Christ’s charity that helps, with a hand outstretched to the brother and sister so they may stand up, return to hope and live a dignified life,” the pope said. “The church believes that the Amazon is a gift from God. It is not only great in its territorial size but also great in its beauty and biodiversity. And this gift was given to his sons and daughters who live here in our common home,” Archbishop Krieger said in his address. With poor people in the Amazon facing increasing dangers to themselves and their livelihood, there is an urgency for the church to be “a prophetic voice” for the world, the Brazilian archbishop told CNS. The Synod of Bishops, he added, is a way for the church to fulfill its mission. “With this synod, the pope wants the world to care for the Amazon, to help it and not look for their own interest,” Archbishop Krieger said. Pope Francis is scheduled to meet with the indigenous people of the Amazon during his Jan. 18-21 visit to Peru. About 60 percent of Peru is in the Amazon.